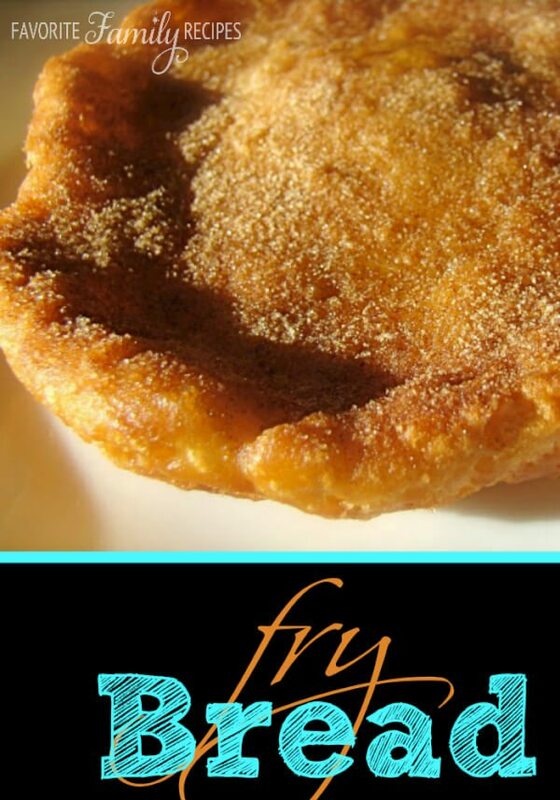 We love fry bread, you can use it to make delicious navajo tacos for dinner (recipe HERE) or elephant ears for dessert. I have had fry bread with cinnamon and sugar my whole life, but it wasn’t until I moved to Idaho and went to a fair that I first heard it called Elephant Ears when it is made that way. They have weird names for things in Idaho. I remember getting really freaked out when someone told me to watch out for a field that was full of goat heads. Come to find out that Idahoans call these hard pointy puncture stickers goat heads. They are the worst when they get your bike tires! Back to fry bread, haha…..
Fry Bread is really easy and fast to whip up, and I love the way it smells when it is cooking. I remember smelling it as a kid when my mom would make it and getting so excited! It was always a special treat. Mix dough thoroughly, you may have to add more flour to get to a dough like consistency. Roll out into large (very flat and thin) circles. Slap the dough then fry in hot oil turning once. Remove from oil when golden brown. Cool on paper towels to drain off excess grease. FOR NAVAJO TACOS: Top with hot chili, cheese, olives, lettuce, tomatoes, and sour cream. FOR ELEPHANT EARS: Brush with butter then sprinkle with cinnamon and sugar, or honey. This is my family's favorite! Always a hit at home when I make some. YUM!!! Can't wait to try this recipe. I haven't had fry bread in years. i tried it and my fry bread was so dense and heavy. any suggestions? let the dough rest 30 minutes before you start to roll it. it gives the leavening a head start and makes for more tender bread. Also rolling it out thinly is important. The Navajo lady who gave me my recipe always poked a hole in it near the center before frying. You need to roll the dough out REALLY thin, as thin as you can go. It puffs up when you fry it. It will make it light and fluffy. I had this on the menu for tomorrow's dinner but didn't get the powdered milk when I was at the store. Any substitutions for it or do I need to make another trip? Thank you for the tip! I will try this next time I make it! First off I have to say….DELICIOUS!! This is the only fry bread I will ever make again. But I do have a question. When I mixed all of the ingredients it was way too runny to be a bread dough. Do you add more flour at the end? My other recipe said to continue adding flour until you get a dough consistency so that’s what we did. Not sure how much it took though. Like I said, it was FABULOUS but I am a little recipe challenged and usually need things spelled out for me. Thank you for all of your recipes! My family is very grateful I found your site!! Thanks Amanda, you are absolutely right. Thanks for bringing it to my attention, I adjusted it on the recipe! Do.you have to use dry.milk? Or can you use some thi.g else? I have always used the dry milk. the dry milk is what most Navajo use but you can leave it out if you like. I have always used it so i am not sure what the difference in taste is. I’ve used frozen bread dough before and then after frying sprinkle with icing sugar. They are also Beaver Tails – a little take out restaurant across Canada. Can you make the dough, put it in the circles and freeze it for easy prep when camping? I have never frozen this dough, but there is no reason why you can’t. Be sure to wrap it well in cellophane and then seal it in an airtight container or plastic freezer bag. Have fun camping! Is it AP Flour or Self Rising? Can I use regular whole milk? Regular milk would add too much liquid. You can try substituting the warm water for warm milk but I can’t guarantee it will be the same since I have never tried it that way before. Hope this helps! How many people does this serve? It can make 5-10 servings depending on how big you make each fry bread. Hope this helps!